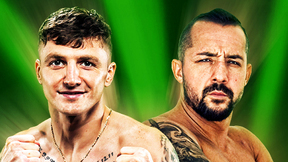 The Invicta FC flyweight championship up for grabs as pound-for-pound women’s talent Barb Honchak puts the gold on the line against the vastly experienced former Strikeforce bantamweight challenger Takayo Hashi. In the co-main event, 20-year-old sensation Mizuki Inoue puts her growing reputation on the line against the undefeated submission specialist Karolina Kowalkiewicz. 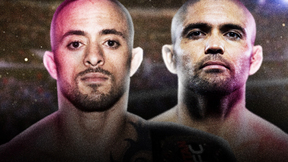 Plus, seven more fights from the world’s premier all-female organization. Barb Honchak vs Takayo Hashi Invicta FC 9 Nov 1, 2014 (41:31) Barb Honchak vs Takayo Hashi Invicta FC 9 from November 1, 2014 in Davenport, Iowa. Karolina Kowalkiewicz vs Mizuki Inoue Invicta FC 9 Nov 1, 2014 (29:31) Karolina Kowalkiewicz vs Mizuki Inoue from Invicta FC 9 on November 1, 2014 in Davenport, Iowa. Raquel Pa'aluhi vs Kaitlin Young Invicta FC 9 Nov 1, 2014 (26:19) Raquel Pa'aluhi vs Kaitlin Young Invicta FC 9 from November 1, 2014 in Davenport, Iowa. 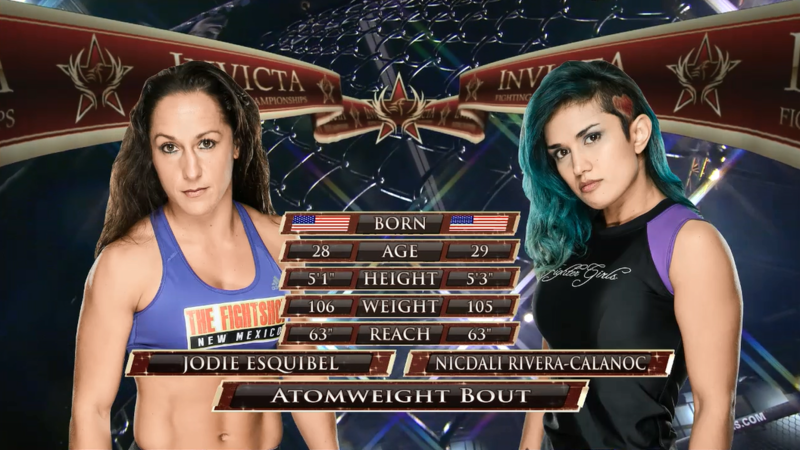 Jodie Esquibel vs Nicdali Rivera-Calanoc Invicta FC 9 Nov 1, 2014 (26:42) Jodie Esquibel vs Nicdali Rivera-Calanoc Invicta FC 9 from November 1, 2014 in Davenport, Iowa. 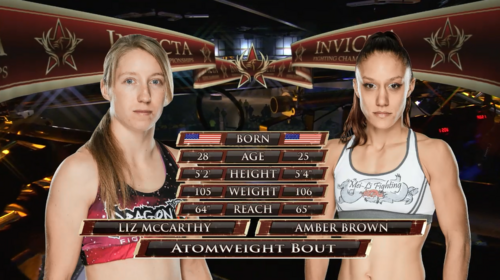 Amber Brown vs Liz McCarthy Invicta FC 9 Nov 1, 2014 (28:26) Amber Brown vs Liz McCarthy Invicta FC 9 from November 1, 2014 in Davenport, Iowa. 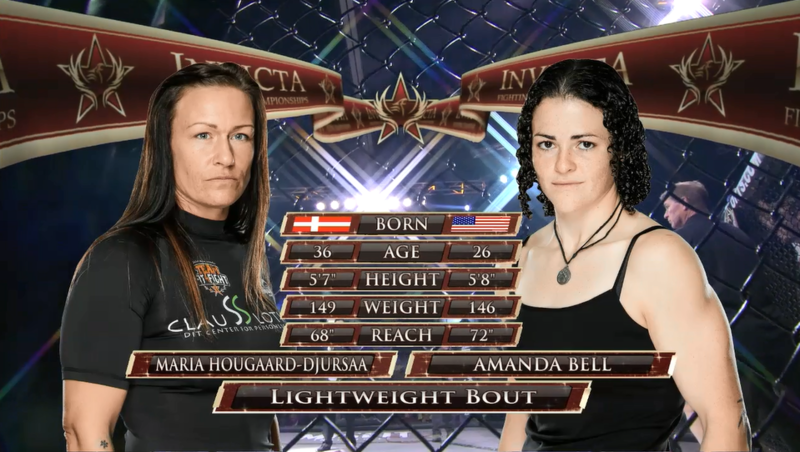 Amanda Bell vs Maria Hougaard Djursaa Invicta FC 9 Nov 1, 2014 (11:37) Amanda Bell vs Maria Hougaard Djursaa Invicta FC 9 from November 1, 2014 in Davenport, Iowa. 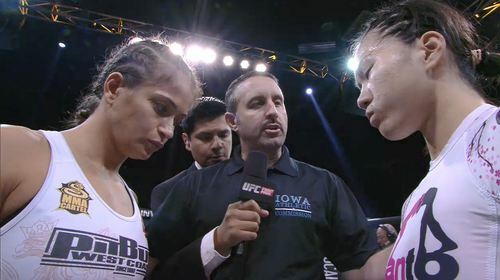 Andrea Lee vs Shannon Sinn Invicta FC 9 Nov 1, 2014 (25:57) Andrea Lee vs Shannon Sinn Invicta FC 9 from November 1, 2014 in Davenport, Iowa. 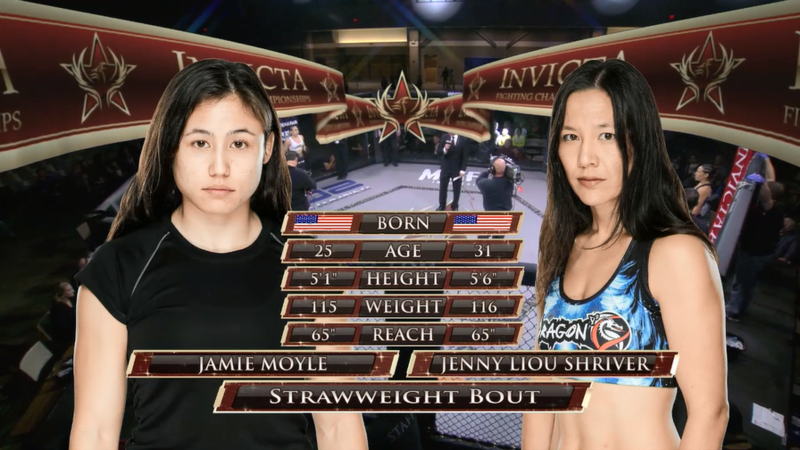 Jamie Moyle vs Jenny Liou Shriver Invicta FC 9 Nov 1, 2014 (26:30) Jamie Moyle vs Jenny Liou Shriver Invicta FC 9 from November 1, 2014 in Davenport, Iowa. Kelly McGill vs Maegan Goodwin Invicta FC 9 Nov 1, 2014 (26:10) Kelly McGill vs Maegan Goodwin Invicta FC 9 from November 1, 2014 in Davenport, Iowa.